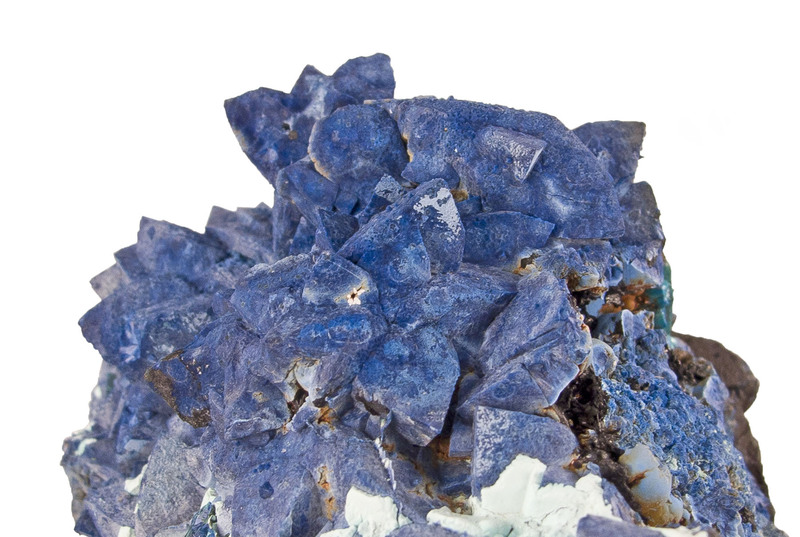 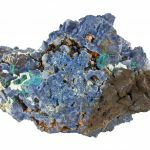 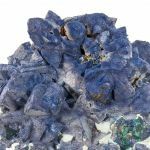 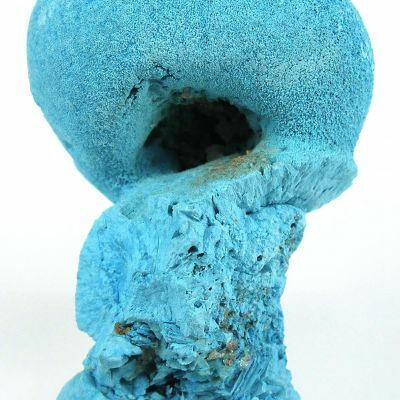 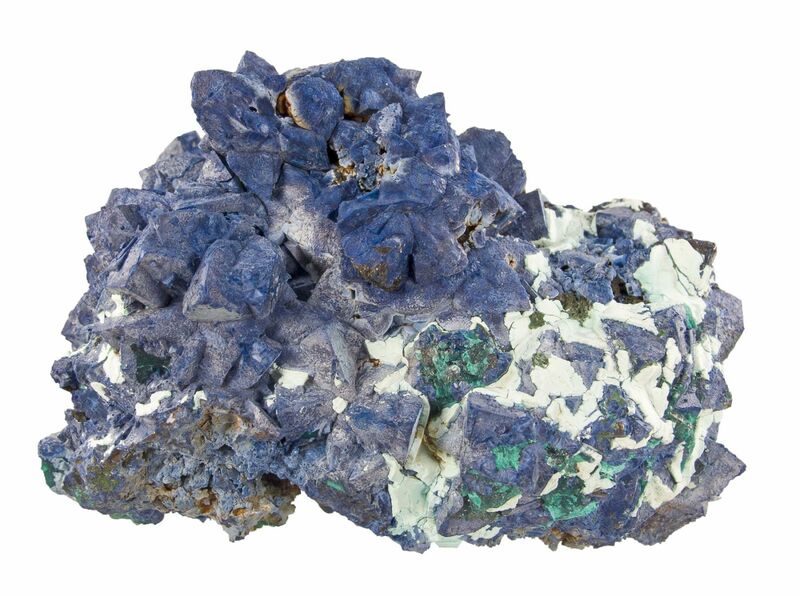 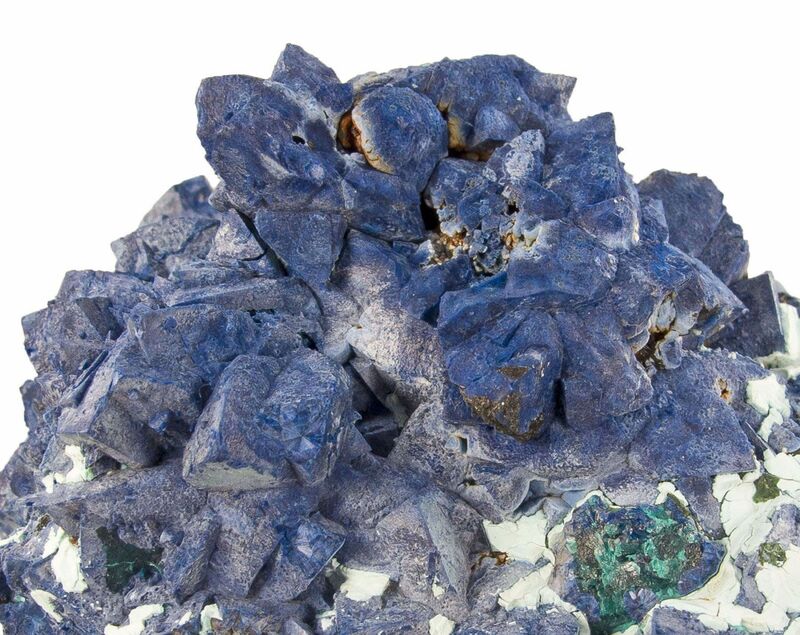 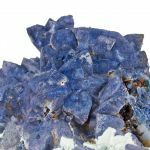 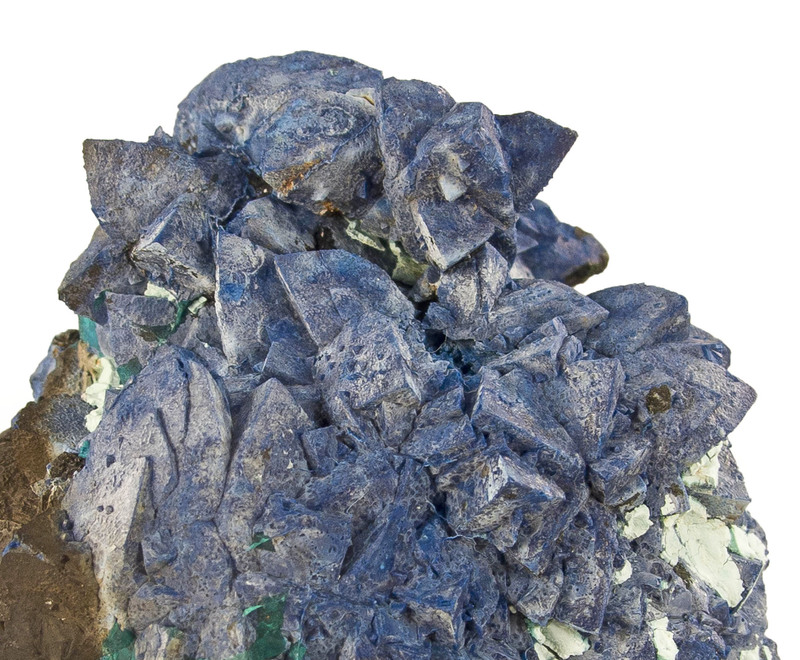 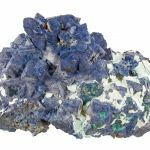 Shattuckite is a rare mineral that seldom crystallizes. 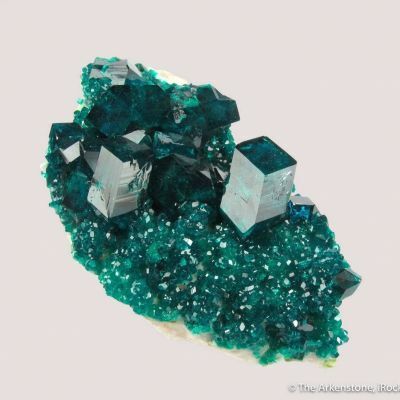 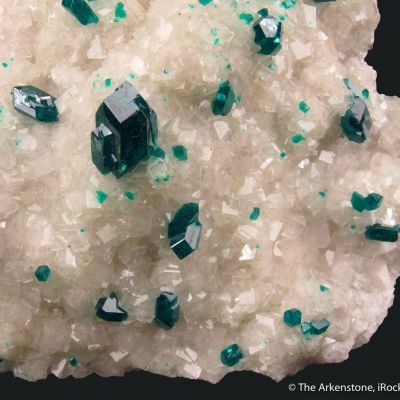 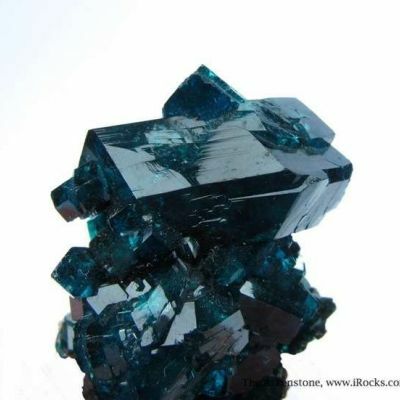 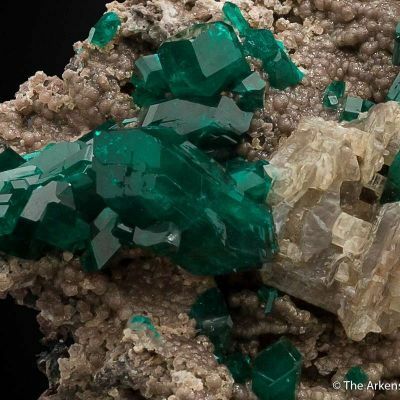 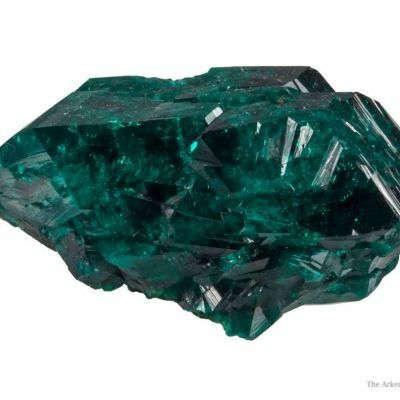 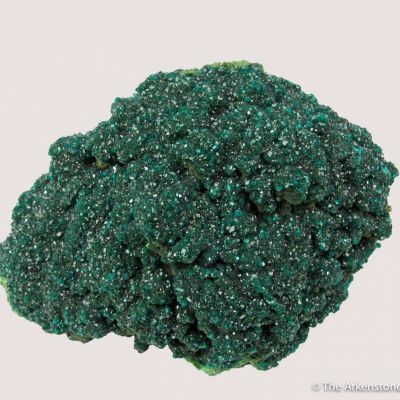 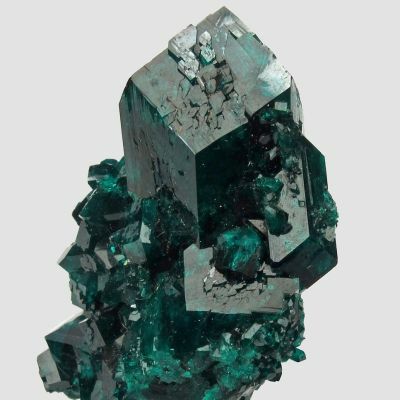 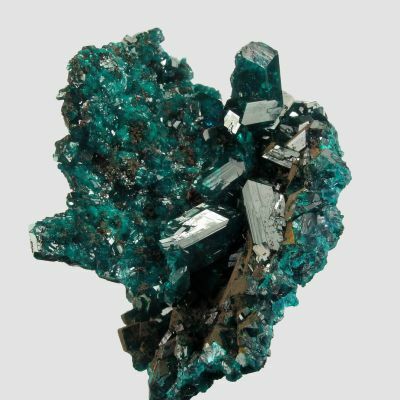 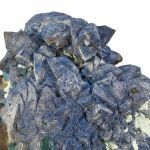 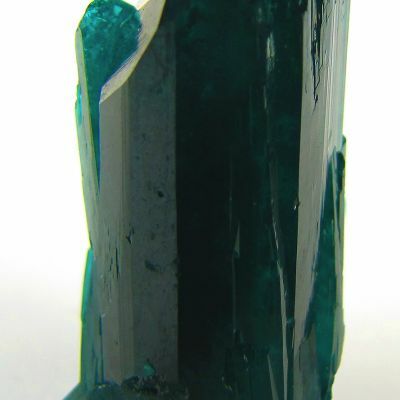 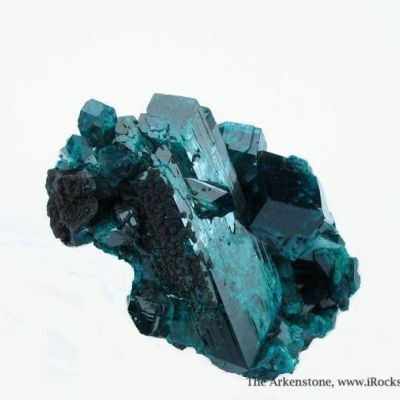 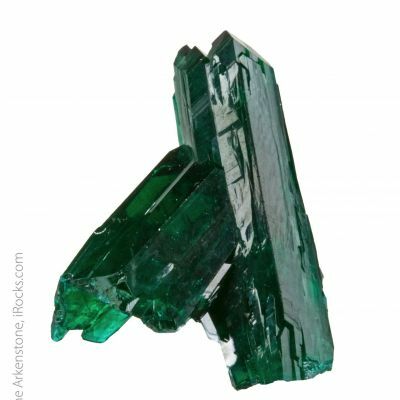 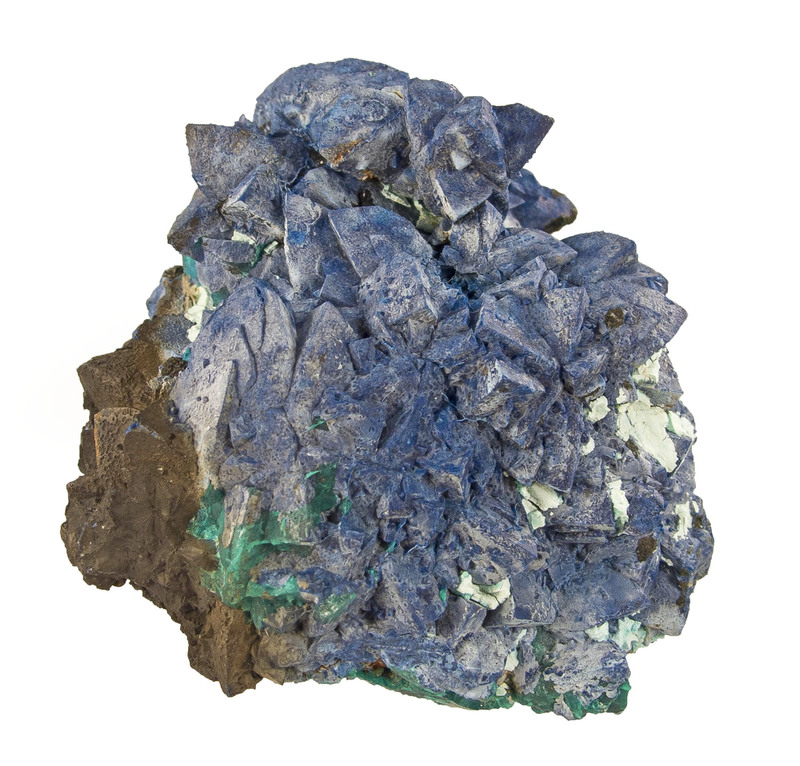 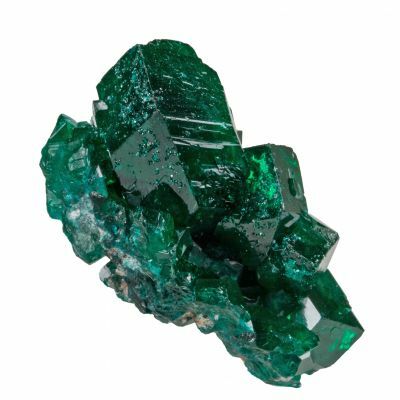 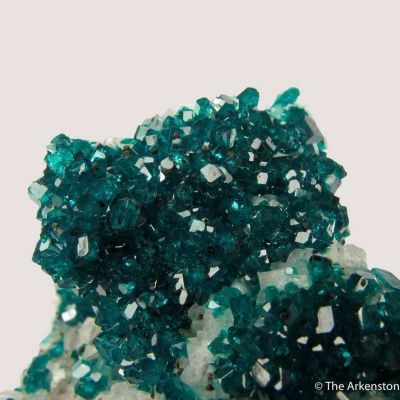 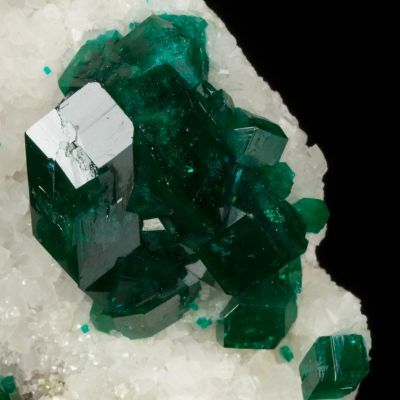 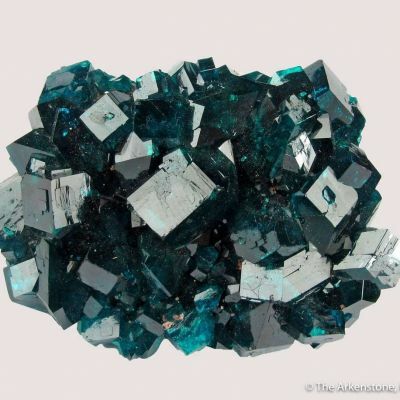 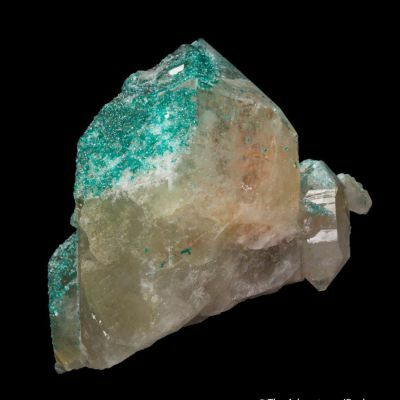 Here, it has formed large fat crystals as a replacement of a previous generation of dioptase, resulting in a pseudomorph, or replacement, after that original mineral that faithfully preserves the crystal shape of the first species. 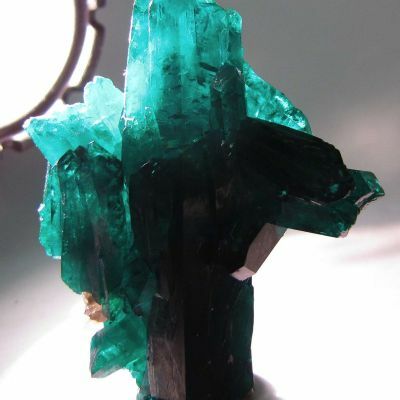 This large, display-sized specimen has dozens of sharp crystals in excess of 1 cm, in 3-dimensional clusters on matrix. 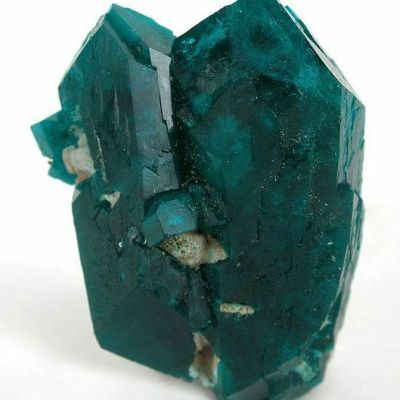 Remnant dioptase is still present in some places. 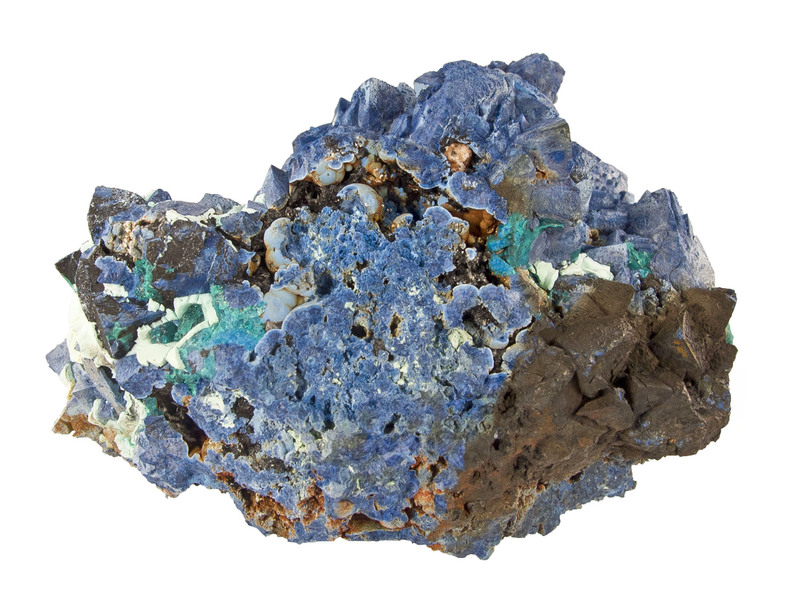 From 2010-2011 finds. 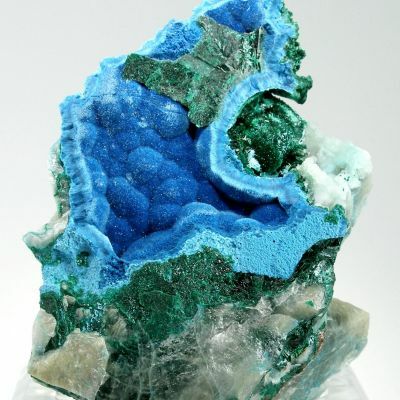 This is one of only a small handful of specimens I have seen that even remotely approach this level of quality.